Last weekend we stepped out of our house and walked like Romans. 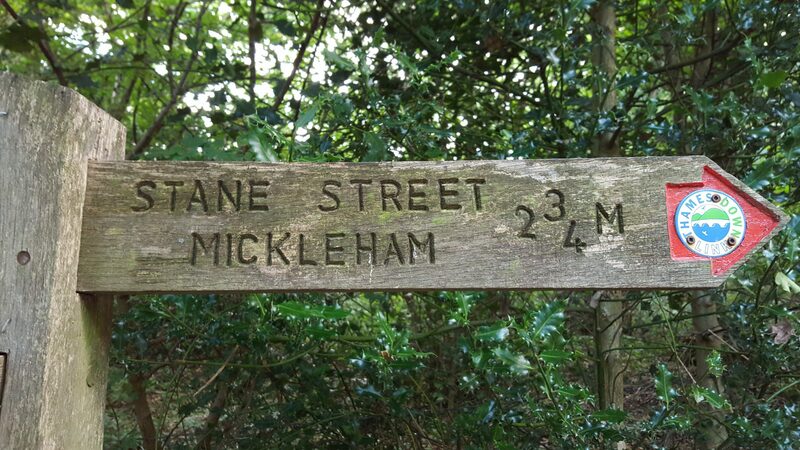 For just over eight miles we followed the old Roman Road of Stane Street from the Epsom Downs round Box Hill to the Mole valley. For most of the way this former super highway is now a peaceful footpath, for our return journey we turned to the Victorian railway line that still ferries many commuters and walkers back and forth. great shot. i love that sign. that’s a big walk!